The first time I visited China I was nervous. It was early spring in 1991 and our Qantas flight from Sydney arrived at the old Beijing Airport. A wooden staircase was pushed against the plane and we walked down onto the tarmac. Guards with guns guided us towards the reception hall. 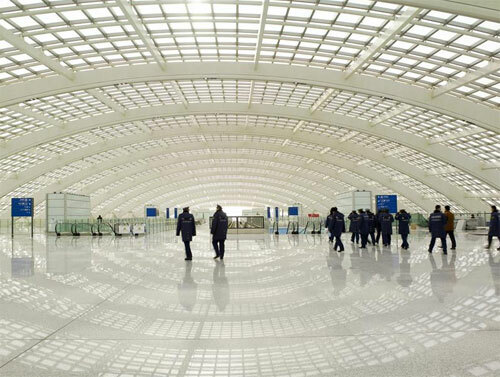 Today Beijing Airport is a cathedral to modern travel. One of the largest vaulted ceilings in the world hovers above football-field expanses of marble. It is an awe-inspiring structure and a perfect metaphor for the changes in China. From metal-covered sheds to graceful public spaces. Beijing has changed. China has changed. Now I am back living in Hong Kong after a 12 year absence. So much has changed, but at its core this remains the same city – resourceful, energetic, innovative, clever, manic. For six years I wrote a blog under the moniker “WallyDownUndy”. And while that humorous name worked perfectly well in Australia, it is out of sync with local culture. Walter, you are in a privileged position to be able to offer insight and advice about China. Any chance you would do some Pro Bono work for an NGO from Africa seeking to attract Chinese donors ? I do volunteer my time to NGOs, so there’s a precedent. Tell me more about what you’re hoping to achieve. Always happy to try! Thanks for your reply Walter and I am wanting to lift the profile of an NGO internationally so that it can attract donors. Your understanding of China & the West would be valuable in assisting this African based NGO achieve this objective. I am an NGO worker from Pakistan, I have been working with implementing Partner of UN WFP, UNICEF, FAO, UNOCHA and UNDP in Pakistan. Let me know If I can help you!